InVue gets a new view in 2017. InVue employees will soon have a new view. A groundbreaking ceremony kicked off construction of the new InVue corporate campus — more than double the size of our two existing buildings. “This building is a testament to the hard work and dedication of InVue’s global employees who have helped us outgrow our current space. 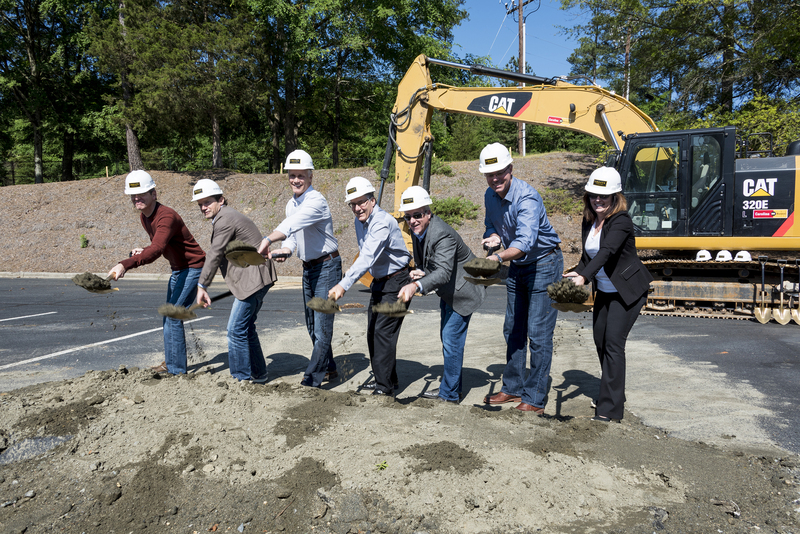 We want a great work environment for our employees and also to be able to attract top talent to Charlotte as we continue to grow”, according to Jim Sankey, InVue CEO. The new building will house an innovation and design center, showroom to demonstrate our products to customers, the industries largest quality assurance facility, engineering and customer service as well as the the rest of the InVue team. Built for collaboration, the building will feature increased conferencing areas including flex conferencing for informal collaboration and exterior glass walls for natural light. InVue’s new building will be part of a wellness complex and feature a gym, cycling center, chiropractor and other health and wellness related businesses. Completion is scheduled for early 2017. Photo updates will be on InVue’s Facebook page.